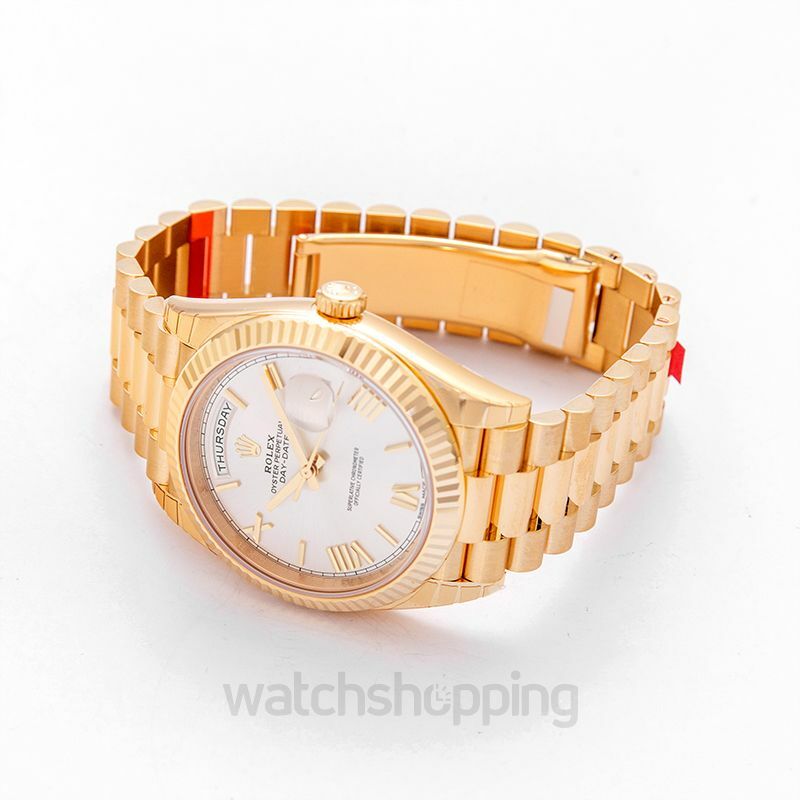 Rolex timepieces have always presented with a look of sophistication and grace while being at the height of functionality. 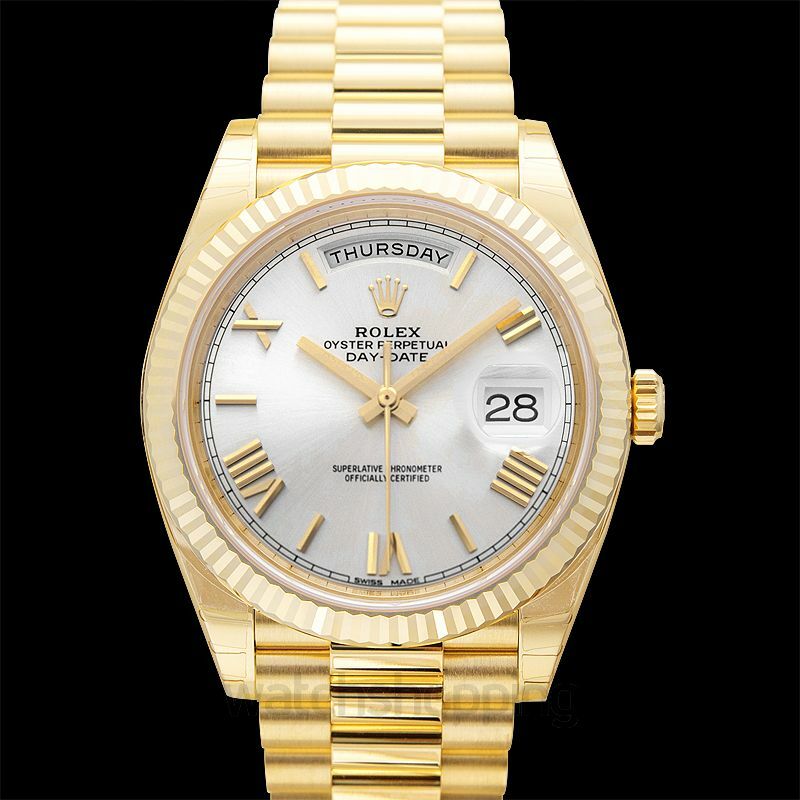 And this timepiece, from the Day-Date series is no exception. 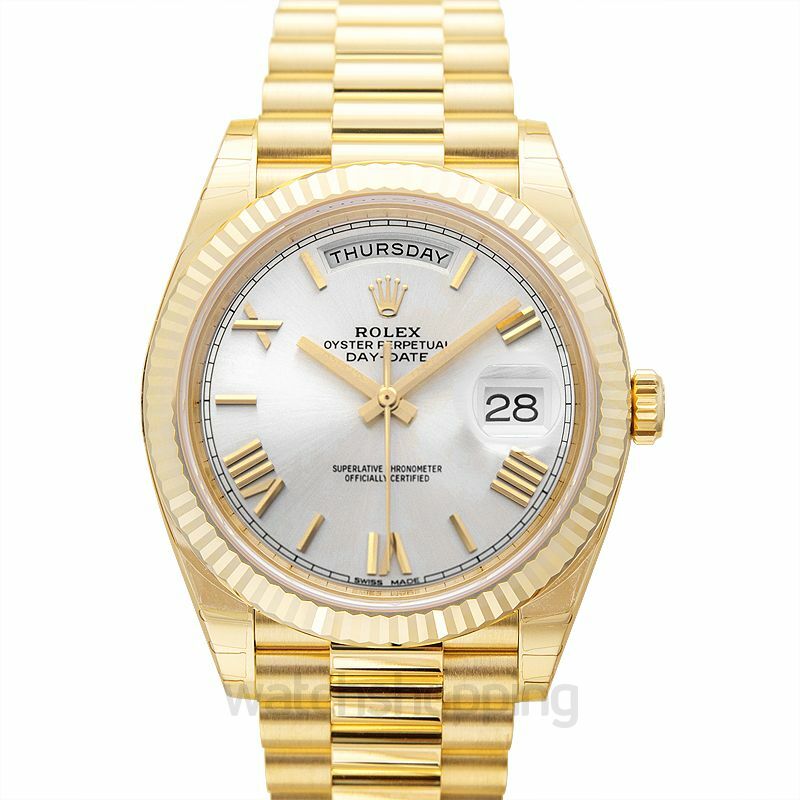 The oyster silver dial is the distinctive face of a Rolex watch, designed largely by hand to complete perfection. 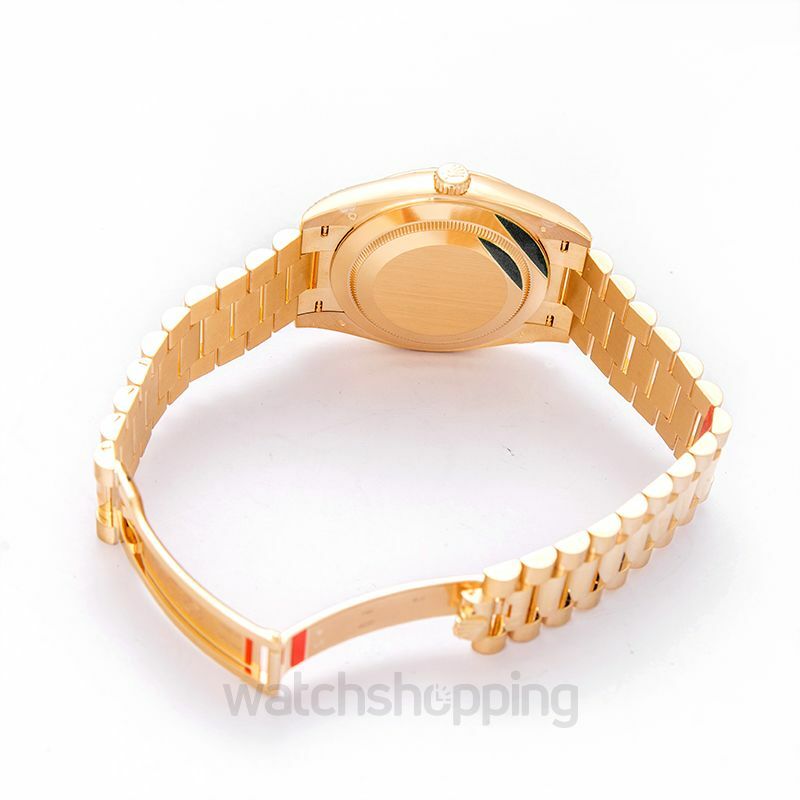 The watch feature a president bracelet, which features semicircular three-piece links and represents the best in refinement and comfort to adorn the wrist of the wearer and uplift their attire.